Craig Zamler attended the University of Michigan between 1970 and 1974 and graduated with distinction. While in law school, he received the Ida and Benjamin Alpert Law School Scholarship and was also a Judicial Intern for the Federal District Court Eastern District of Michigan. Mr. Zamler began his law school career at the Detroit College of Law, was an honor student, and was on the Detroit College of Law Review. He then transferred to Wayne State University Law School wherein he received his law degree in 1978. While attending Wayne State University Law School, Mr. Zamler was employed as a clerk for the law firm of Lippitt, Harrison, Perlove, Friedman and Zack. His first professional legal position was an attorney for the Aetna Casualty & Surety Company doing workers’ disability compensation defense litigation. 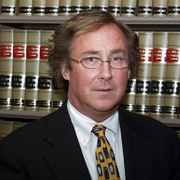 In 1980, he began employment with the law firm of Kluczynski & Girtz and became a partner in that firm after one year. 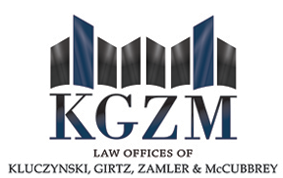 The firm name was then changed to Kluczynski, Girtz, Zamler & McCubbrey in1984. As a partner in the firm, Mr. Zamler continues to do active workers’ disability compensation defense litigation. He is rated by Martindale-Hubbell Peer Review Ratings, AV, which is at the highest level of professional excellence.